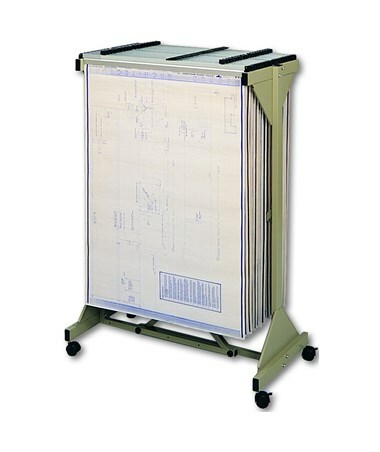 The Safco Mobile Plan Center is a great unit for storing and organizing large documents, which features a larger storage capacity than most mobile blueprint racks. 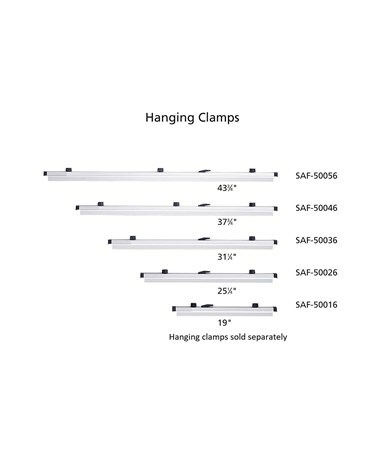 It has a fixed clamp bracket that allows it to hold up to 18 clamps that drop in and lift out. 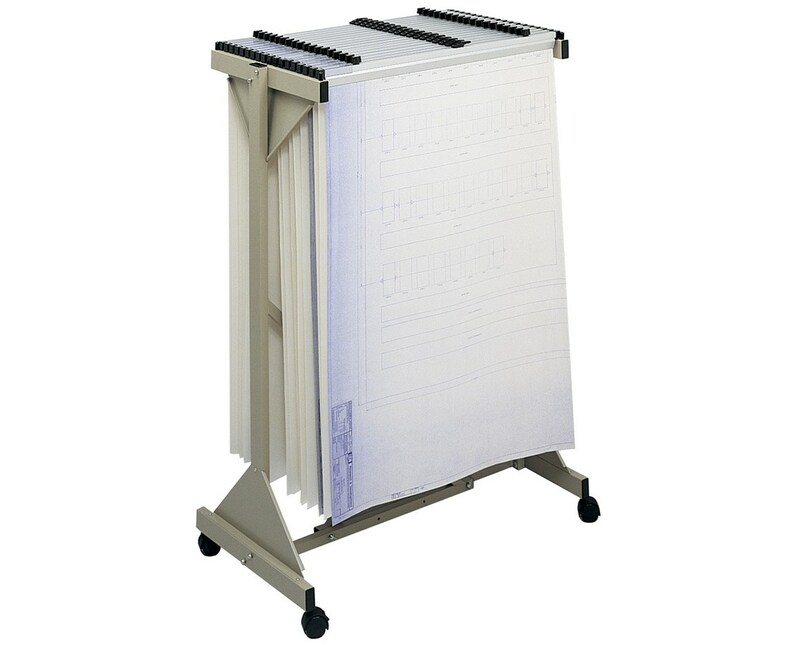 Its width freely adjusts to fit hanging clamps that are 24 to 42 inches long. 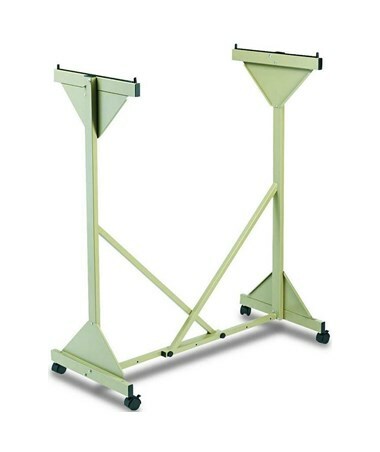 Four swivel casters provide smooth mobility on any surface and two of these casters can be locked to keep the unit stationary. 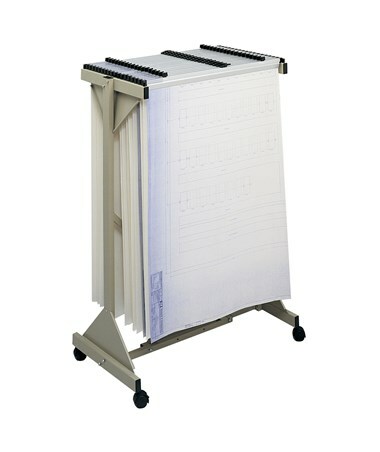 This document cart is made of steel with a powder coat finish and is easy to assemble with minimal effort. It is also safe for indoor use and does not emit harmful chemicals as certified by GREENGUARD.